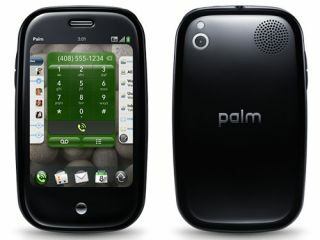 Palm has updated the Pre's webOS platform to the new 1.2.0 firmware, bringing with it a few crucial changes ahead of the UK launch. The main talking point is users are now able to enter credit card information to their online profile for paid-for applications from the Palm application portal. Users will be able to decide whether they want to enter a password every time they download an application, or just once at the start of a four-hour period. Paid-for applications aren't yet available for the Palm Pre, but it's possible they may be coming in time for the UK launch of the phone on 16 October. Other additions include Amazon MP3 songs being available to download over 3G networks instead of Wi-Fi only, but it's not yet known whether this portal will be coming the UK version. Palm has also decided that people can lose their phone or accidentally delete applications, so it's included a chance to download them again for free with the new webOS 1.2.0. You can also share the applications among your friends via email, and backup web bookmarks to your profile as well in case of accidental deletion. However, the one thing missing is iTunes synchronisation - it was hoped the new update would allow Palm users to connect to iTunes again, but Boy Genius Report has confirmed this is not the case. Palm has included a raft of other minor changes too in the webOS 1.2.0 update, so head on over to the official page if you want to see what else you might be seeing in on the UK version of the Palm Pre next month.